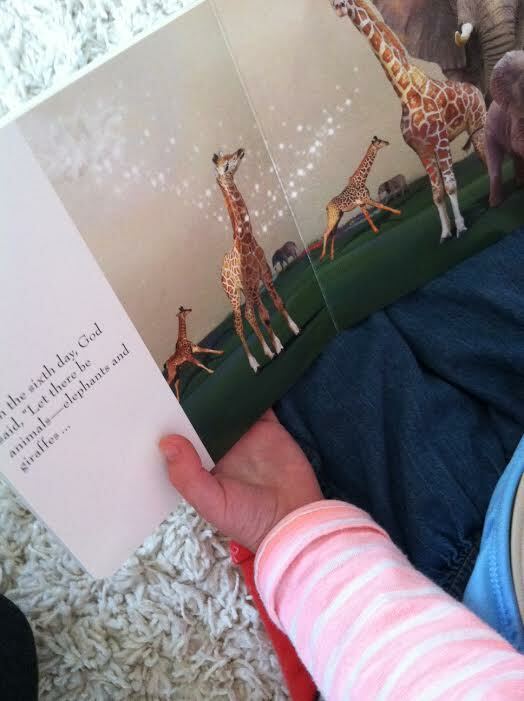 This little board book for children is absolutely LOVELY. I’m always looking for ways to teach my children God’s Word and to bring Scripture to life for them. The illustrations are truly stunning, and this book has been lying around the house for a few weeks now, with the kids constantly poring back over the magical yet life-like drawings. This book aims to break down the story of Creation found in Genesis 1-2, illustrating how God formed all that we see from nothing, culminating in His creation of mankind, the crowning glory of His creative work. 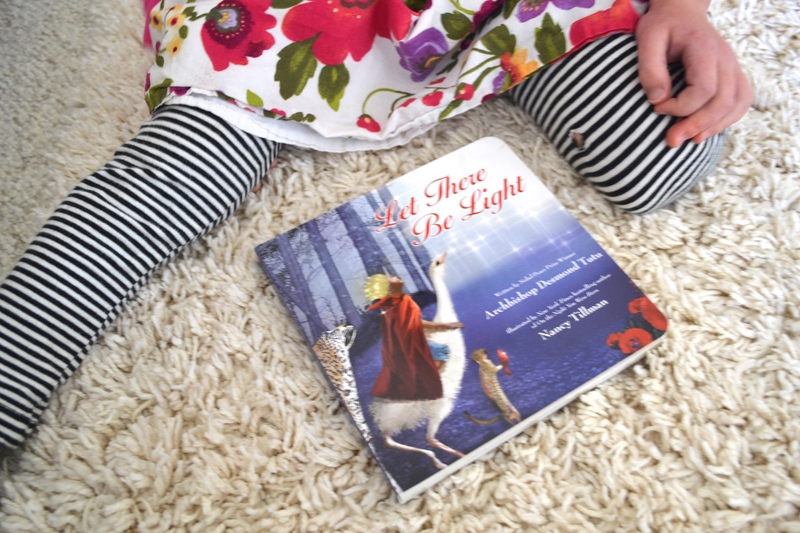 The artwork and text is engaging for young readers (intended for ages 4-8) and also agrees with the biblical account, which is, of course, important to us! I love the way the illustrator imaginatively depicted God’s person in each of the pictures, whether as a form of light or as a hand hidden within the illustration, displaying Him as intimately involved with the work of creating. 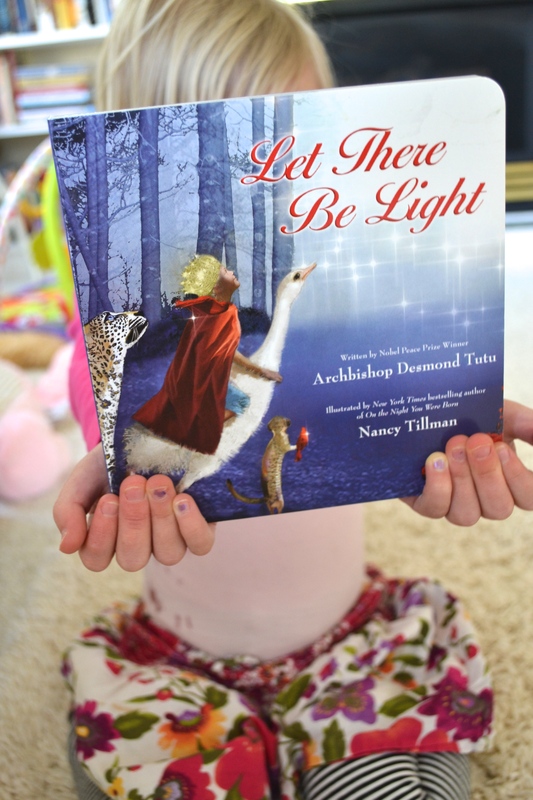 A boardbook edition of the popular Let There Be Light, the story of Creation from Nobel Peace Prize winner, bestselling author, and cultural icon Archbishop Desmond Tutu paired with Nancy Tillman, the phenomenally successful New York Times bestselling children’s author/illustrator of On the Night You Were Born. 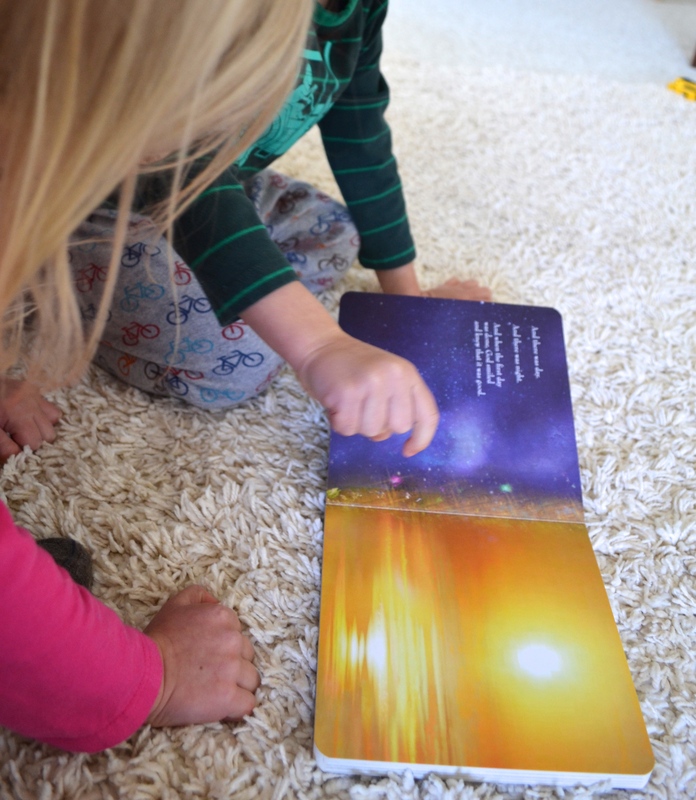 I would highly recommend it as a delightful read, and as a tool for teaching the concept of Creation in an easy-to-break-down and understand way to your children! To pick up a copy of your own, click HERE. I received a complimentary copy of this book from HarperCollins Christian Publishing in exchange for my honest review. All opinions expressed are my own.